To restore to digital transactions the reliability and efficiency of face-to-face interactions through secure and connected information. BlockApps was the first company incubated out of Consensys in 2015 to develop the best, ease-of-use, most powerful blockchain-as-a-service platform on the market. BlockApps will continue to push for blockchain technology to become the new application platform for enterprise. Victor is a recognized thought­ leader in the blockchain space having organized several of the first Ethereum hackathons and presented at several conferences including Ethereum’s DevCon1 and EY’s Innovation Summit. At BlockApps, he helped define the STRATO architecture to solve key blockchain issues of data transparency and scaling. 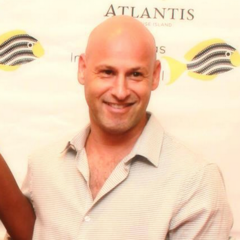 Joseph Lubin is a Canadian entrepreneur. He has founded or co-founded several companies including the Swiss-based Ethereum, a decentralized cryptocurrency platform, and is founder of ConsenSys, a Brooklyn-based software-production studio. In early 2014, Lubin was Chief Operating Officer of Ethereum Switzerland GmbH (EthSuisse), a company working to extend the capabilities of the type of blockchain database first popularized by Bitcoin. Lubin was also involved in the creation of the Ethereum Foundation, a Toronto-based non-profit organization. He subsequently founded ConsenSys in 2015. 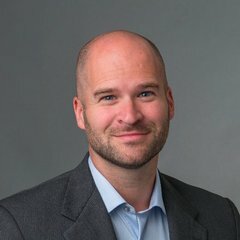 Aaron Wright is an expert in corporate and intellectual property law, with extensive experience in Internet and new technology issues. Before joining Cardozo’s faculty, he sold a company to Wikia, the for­profit sister project of Wikipedia, where he ran Wikia’s New York office, served as General Counsel and Vice President of Product and Business Development, and helped build an open source search engine. Wright has clerked for the Honorable William J. Martini of the U.S. District Court for the District of New Jersey and worked as an associate at several prominent New York law firms, including Patterson Belknap and Jenner & Block. 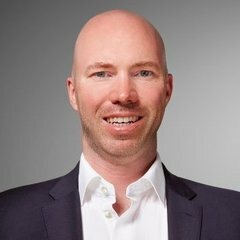 Jeremy Millar is founder and managing partner of Ledger Partners LLP and a founding partner of Magister Advisors LLP, Prior to Magister Advisors, Jeremy was an investment banker with Goldman Sachs where he advised on over $25bn of corporate finance transactions and previously he helped build and bring to market Oracle’s Java stack in 90s/00s. He is an active angel investors and a mentor with the Barclays Techstars Accelerator. He holds a BSc in Computer Science from the University of King’s College and a Master’s in Finance from Oxford University.